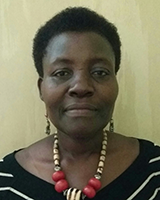 Peace is a lecturer at the School of Women and Gender Studies, Makerere University, Uganda, and holds a PhD in Gender Studies. She is an experienced gender analyst, mentor, trainer and researcher in women, gender and socioeconomic development issues (gender equality, equity and development; Gender Equity Budgeting; gender analysis and alternative transformative leadership) at both national and international levels. Peace will co-facilitate on the following GREAT sessions: approaches to gender analysis using field visit data; exercise using Gates article; science of gender; stakeholder analysis; expectations of field visits, and development of field instruments and field visits.